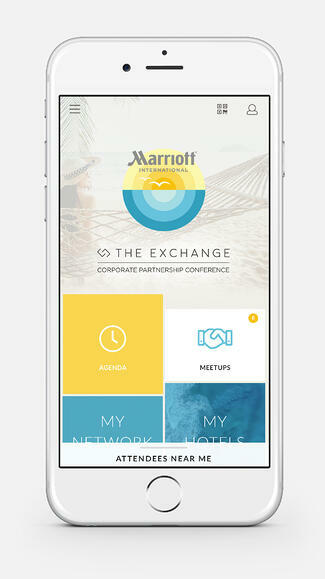 Premier app providers offer full design customization to make your event app reflect your brand and your goals. The question then becomes: how should you design your app to make the most out of this opportunity? 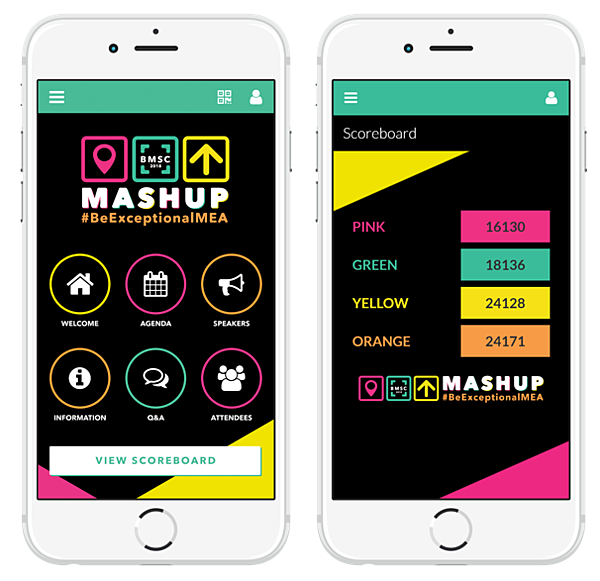 We collected some examples of our top event apps designs so far this year, along with some of the thinking behind each design, so you can see how we approach the design process for different brands. We highlighted a few that solved a problem in a unique way to give you some inspiration for your next event app. This is a great example of how design — and a flexible, customizable app provider — can create a truly unique experience. As you can see, this app is really fun and colorful, and it quickly engages the user with a more prominent button for the game scoreboard on the homepage. This event did group gamification for team building, so they grouped attendees into teams in competition against each other. Having emphasis on gamification on the homepage (via the scoreboard) encouraged friendly competition and camaraderie, which accomplished the client's goal of uniting their teams. Personal agendas were top of mind for the client below. 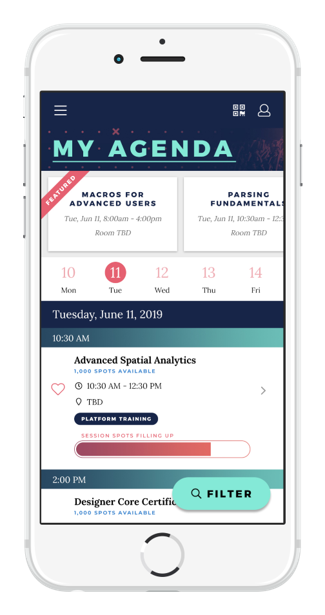 We created several unique ways to show session capacities and to highlight featured sessions that attendees could tap to add to their personal agenda. To encourage networking, here we highlighted nearby attendees along with networking matches with a separate pull-out feature. We typically feature nearby matches on the homepage, but the client wanted to provide additional networking options by showing not just matches, but others who were nearby. To to so, would take up too much real estate on the homepage so we devised a new solution. 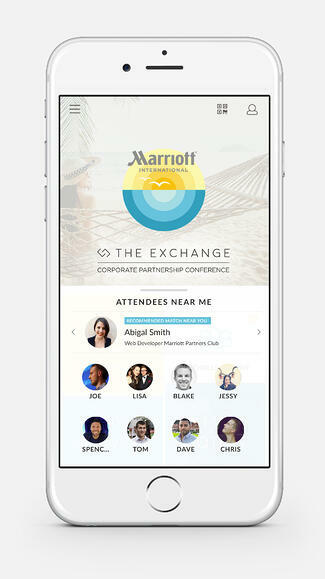 The first screenshot below shows what it looks like with the “attendees near me” tab on the bottom, the second is what it looks like when expanded. Ultimately, everything is a MeetingPlay app is customizable, including the overall look and feel from a branding perspective. We love being challenged to develop unique themes for the apps, and we can also find ways to highlight specific features/etc that are important to the event as noted above. It starts with a conversation between the client and us. Our client don’t have to direct things, they just tell us their goals and what they are looking to do and we ideate from there. 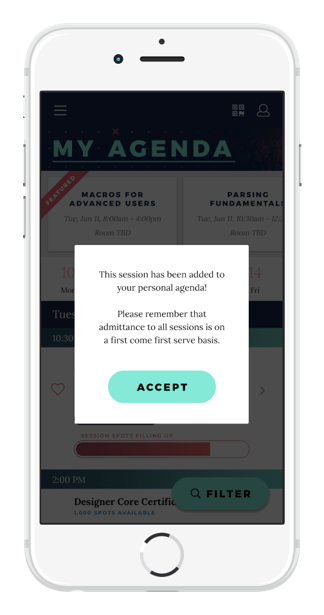 To get your next app design started and to see more of our best event apps, schedule a free demo and talk with a MeetingPlay expert!